Mikhail Kalashnikov, the designer of fabled AK-47 automatic rifle, died on Monday, the office of the presidency in the Udmurtia region where he worked said. He was 94. Kalashnikov designed a weapon that became synonymous with killing on a sometimes indiscriminate scale but was seen in the Soviet Union as a national hero and symbol of Moscow's proud military past. "He died about one-and-a-half hours ago," Viktor Chulkov, the spokesman for the Udmurtia leader Alexander Volkov, told a news agency on Monday. 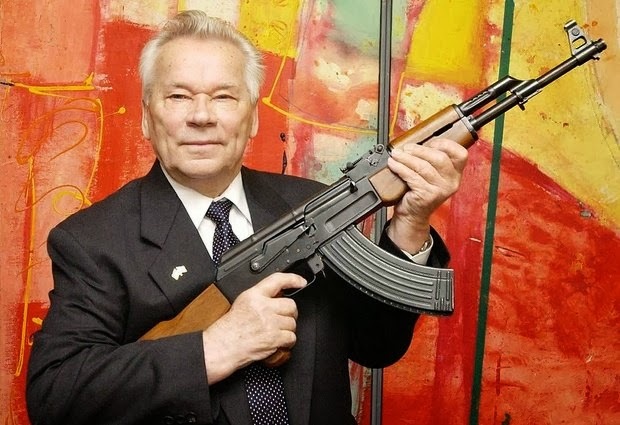 Lavished with honours including the prestigious Hero of Russia prize for designing the iconic rifle, Kalashnikov has said he had never intended for it to become the preferred weapon in conflicts around the world. "I created a weapon to defend the fatherland's borders. It's not my fault that it was sometimes used where it shouldn't have been. This is the fault of politicians," he said during an award ceremony at the Kremlin to mark his 90th birthday. AK-47's name stands for "Kalashnikov's Automatic" and the year it was designed, 1947.